NGOs produce an enormous amount of high-value geospatial data. But too often, this data is lost or hidden, with no easy way for it to be discovered and accessed. With Koordinates, you can make your data accessible on your terms — sharing privately with collaborators or publishing openly to the world. Make it easier to access your data, and grow the reach and impact of your organization. Share data privately with colleagues and collaborators, and more easily work with one point of data truth. Spend less time sourcing and managing data, and more time realizing your mission. 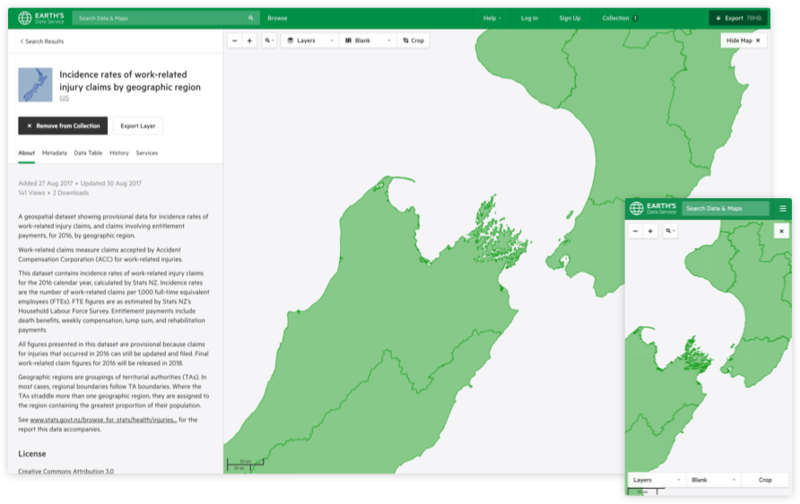 Our platform has been designed and engineered for all users—from GIS pros and policy analysts to members of the public. Rich analytics on the usage of your site, so you can easily understand and report on the impact of your work.